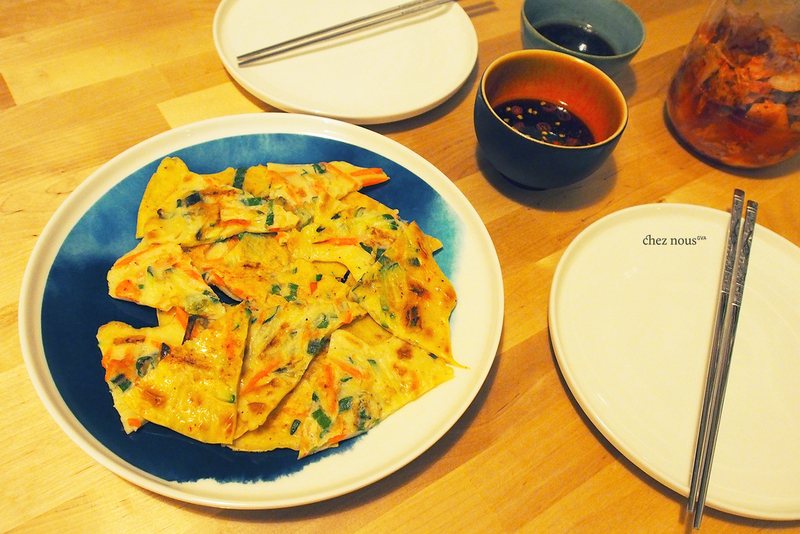 Korean pancakes and some kimchi, please. Korean food and pancakes had a love child, and oh, that baby is yummy. 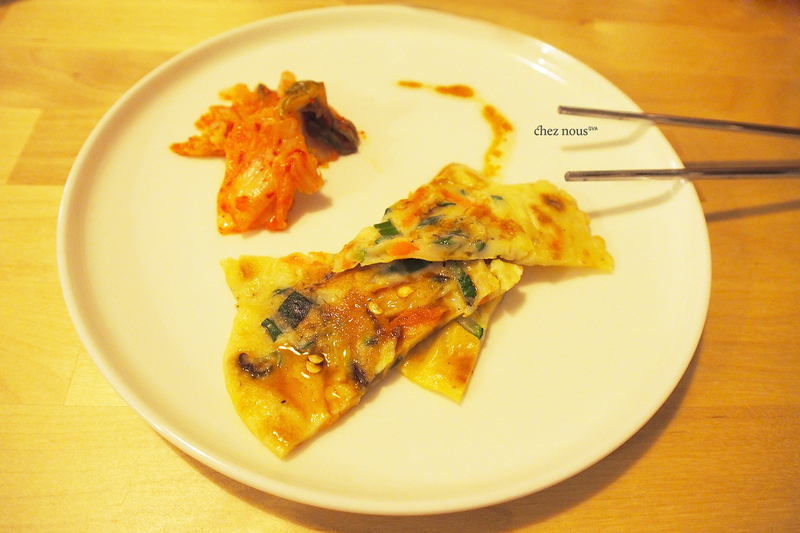 Um um um.. Korean pancakes, or pajeon won my heart the first time I had them. It’s a light and healthy alternative to actual pancakes (debatable according to the partner), and you can enjoy it savoury or spicy. I like whipping these up for dinner, but you can also have it as an appetizing entrée. We had ours with a side of kimchi and a dipping sauce that one of my favourite people, a Korean (just to qualify that it’s authentic, haha), taught me how to do. This makes eating light and healthy so very worth it, I kid you not. Beat the egg in a large bowl. Add the flour, water and salt and pepper, and beat all these together until there are no more lumps. Add the fresh ingredients and the kimchi and mix. Pour in a bit of the mixture (about 1 ladel) into a hot greased frying pan. Let it cook and flip. Each side takes about 2-3 minutes to cook. For the sauce, mix all the ingredients together and it’s done! 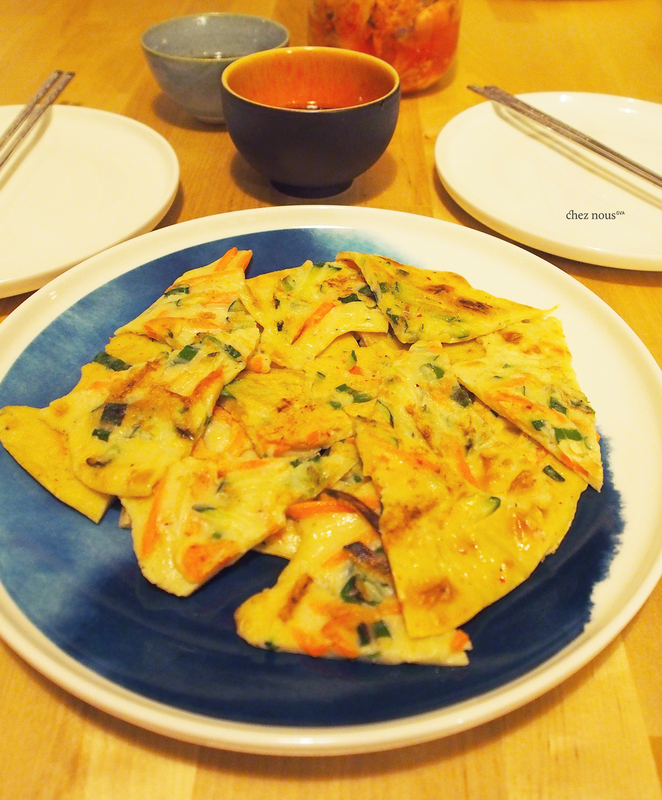 Cut up the pancakes with kitchen scissors, and serve with a side of kimchi and some of that dipping sauce. Bon appetit! ← Duck duck sweet potato bleu duck. With a side of leeks. Yum! Looks so good 🙂 I look forward to following your blog!